Plug in the Cables To Go 27901 Universal Flat Panel Cord to replace your overused or misplaced power cables. 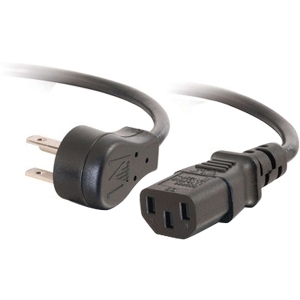 This Cables To Go 27901 Universal Flat Panel Cord works with most PCs, monitors, scanners, printers and other devices that use the 3-pin shroud power connector. All Cables To Go 27901 Universal Flat Panel Cords feature a fully molded design that provides maximum durability and long-life. This Universal Flat Panel Cord works with most PCs, monitors, scanners, printers.